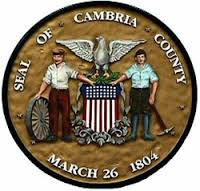 The Cambria Memory Collection contains information submitted by individuals, libraries, or other organizations within Cambria County. The collection is eclectic and diverse. Enjoy searching it. To view the collection click here.